Taxes get wasted of a lot of foolish projects, government pork and corporate welfare. But did you know that there are tax dollars that are used to build sweet trail? It's a drop in the bucket compared to the rest of the funding that goes towards motorized transportation, but it can amount to cool projects for cyclists. Recently a bunch of us went to DC to lobby for more funding for these projects. Things are drawing to a close and Congress is going to decide just how much cash will be put towards this (which goes by the name of the Recreational Trails Program). Tell them you want the bigger of the two proposals. See info below from IMBA. higher-funded House version of the program. You can help by sending a letter to your U.S.
could build 17,000 miles of new trails! For those who wonder why this space can frequently focus on trail access issues, read this long post and digest. Recently, after long hard work, IMBA reached an agreement with the National Park Service that would allow the possibility of mountain biking in areas that were previously banned. In reality, not much has opened up, but the future can sometimes come at a slow pace and you need to look at the big picture and how this can all move forward. Luckily MTBers have been getting more organized over the years and have been learning about the power of numbers (not so subliminal message: go sign up for IMBA and/or your local club now) but other groups are much further ahead of us and are much more experienced. So, it's not like it's an easy battle or things are all good just because we've become clued in with how we have to go about getting access and keeping it. So with that introduction, see the following press releases/letters that are the result of the group PEER and their desire to crush this new MTB agreement with the NPS. 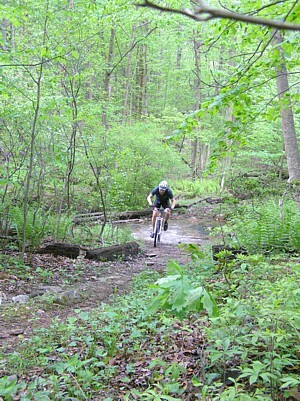 Acres of Wild Lands Vulnerable to New Mountain Bike Trails." agreement does not weaken the commitment that the NPS has made to Wilderness. wilderness in Voyageurs National Park. more than 2.5 million acres be designated wilderness in nine parks. be prescribing a formula for bitter conflict and recrimination." haltedonly if the land was eventually designated as wilderness by Congress. lands are off-limits to bicycle trail designations under the NPS-IMBA agreement. of developed zones in parks without publishing a special regulation. roads outside of developed areas as open to bicycle use. on backcountry trails that are now open only to foot or horse." stringent decision-making process" of special rulemaking (51 FR 21844). commend these parks. Several other parks, however, remain in violation. office transmitted the GA to all NPS regional offices. wilderness will be made in expectation of eventual wilderness designation." would be immediately halted upon eventual designation, violates common sense. This is a formula for conflict not partnership. "administrative roads," require a special regulation. non-complying parks of your expectation that they conform to NPS regulations. Former Baltimoron and current Alabama resident Fred Powell sent me some high test coffee called "Crank" that he's having blended up for his shop Cahaba Cycles. I'm drinking a cup of this now and the stuff is good. A nice dark roast, I could tell the beans were fresh as soon as I opened the package. Word is it's blended from the top 1% of beans in the world. If you want some it runs $12 a bag. Contact Fred at fred@cahabacycles.com for the skinny. Another Saturday, another epic ride. This time stringing together two tough rides into one super-sized feast of pain. With over 2 inches of rain Friday the only option was to hit rock. Out to Fredrock and into the Catoctin mountains. Big rocks, little rocks, nothing but rocks. That's all you get and that's why it holds up to the rain. Once again we started in the lower Gambrill lot, 1 dudette and 3 dudes, followed the route we've been doing into the Frederick Watershed and out to Hamburg road. Lately this has been the turn around point making for a nice solid ride. But this time we continue on, pushing deep into the Northern part of the watershed for approximately 20 more miles. Climbing the Death March, working our way out to Rattlesnake overlook, the Salamander trail, the Sand Flats and all of the tasty riding that grinds you down with the relentless technical challenges. Things that are mildly challenging on other rides turn tough when you are many hours in and the muscles are quivering. We all survived - well, one of us cut it a wee bit short by peeling off onto the road near the end and skipping the last couple of miles of trail. I won't mention names but he speaks with a funny accent and drives a little wind up car. Overall I was feeling good. As the miles rack up the body starts to feel fatigued, the mind starts to not be quite as sharp, but I certainly wasn't feeling the bonk and could have gone on for more. I attribute it to the Crank coffee that started the morning and the mid-ride Guinness tall boy I packed. No flats in the group once again although my bike took a nice dent in the down tube. No idea where it happened, Mark spotted it when we were sitting in the parking lot putting down post ride brews and food. Not much you can do about that one.